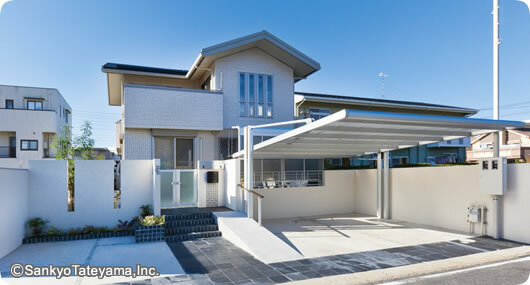 Terrace roof TR/TF-series was released. 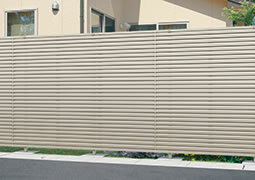 We produce carports, terrace roofs, gates, fences, and other exterior products. We want to produce more cozy, pleasant spaces, and we want to produce spaces where various people can realize various dreams. We want people to freely use the space that unfolds under the sky. Our exterior division has successfully met the challenge to realize and create new concept of space. Starting with total security exterior as our answer to increasing security needs from detached house owners, exterior products that allows the creation of free spaces around entrance area, to a facade system that allows multiple arrangements around the gate doors, with designs to create beautiful and unique exterior, we strive in our pursuit to develop exterior products that is functional and able to flexibly cope with the various needs of today. Also, in the public exterior field, we have incorporated keywords such as “energy-saving” and “resource conservation” in developing street furniture that are kind to people and the earth, promoting the application of new technologies in civil engineering field. 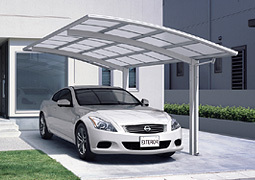 Our carports are a new style of traditional carports that can be used in place of a garage. 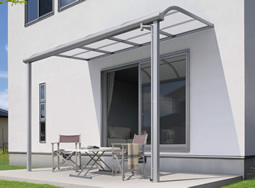 The carport itself is constructed of aluminum components. You can select the product that meets your exact needs for design, parking capacity, and installation site conditions from our extensive lineup. Our terrace roofs can create a new living space for you that connects your living room to the outdoors. Have some tea with your friends under the roof, use it as a car parking space, or even as a place to store items outdoors. 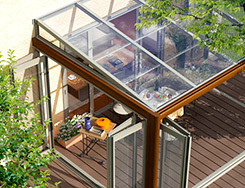 Our terrace roof can improve your daily life in a variety of ways. 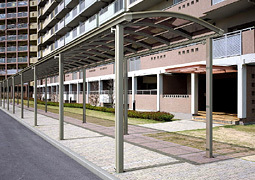 This walkway shelter is designed for public facilities, hospitals, shopping malls, or any other public space, and can be customized to meet your specific site and strength requirements. This is the place where people get together with smiles, and where precious moments are spent. Why don't you make an extremely delightful place for your family? 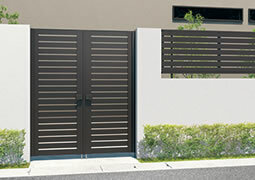 The gate to your home is the first thing visitors will see when they arrive. With this in mind, we have an extensive lineup of products with the functionality and design you desire that can blend in perfectly with your home's appearance and its surroundings. Our fences don't simply serve as a boundary for your property; they also provide a completely coordinated look for your living space with designs to match your entrance gate and your home.